What is responsive eLearning design? Responsive eLearning design draws its inspiration from responsive web design concept that allows the website to be viewed on devices. Responsive eLearning design is an eLearning format that responds to the screen size of the device on which it is being viewed. 1. What Are The Important Characteristics Of Responsive eLearning Design? 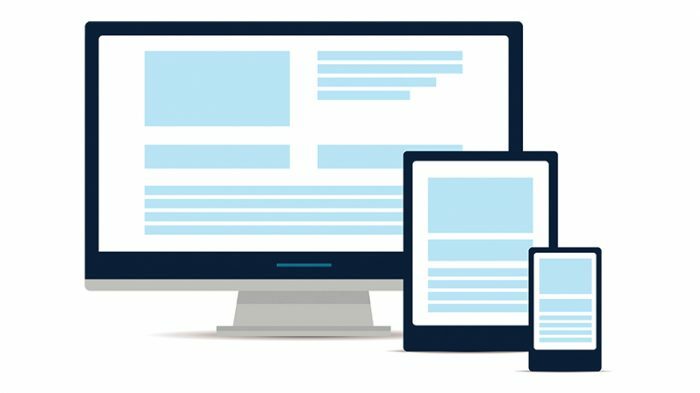 The most significant characteristic of responsive eLearning design is that it enables the content to respond to your device’s viewable area. It offers the best possible layout on your device (smartphone or tablet) that helps you get the right User Experience and the expected learning experience. 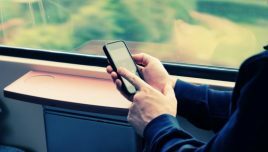 The content in a smartphone may focus on significant aspects first and the related information may be layered (to be revealed on further exploration). Similarly, the interactions must be adapted suitably. 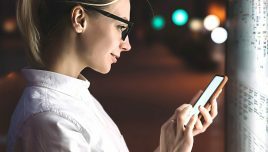 Hence, interactions that require manual dexterity just wouldn’t work effectively on smartphones and must be remapped to suit smartphone based interaction to provide the right User Experience. 2. Why Does Responsive Design Matter In eLearning? Look at the all-pervasive usage of mobile devices in our daily life and it only stands to reason that they should be used for providing access to learning. 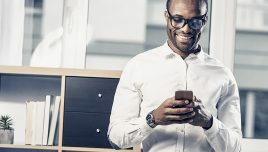 We have seen the push for eLearning come from learners and the organizations have responded by integrating the Bring Your Own Device (BYOD) policy to provide flexibility to users to learn on the device of their choice. Today, most of the corporate training needs can be offered on mobile devices with the flexibility to learners to take up part of training on desktops/laptops and balance on the go (on tablets/smartphones). Supporting this is the transformation in authoring tools where earlier adaptive tools are now giving way to fully responsive tools that create significantly better User Experience leading to higher learner engagement. 3. 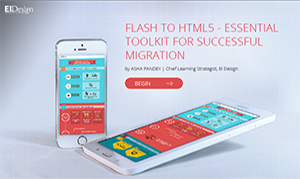 What Tools Can You Use To Design Responsive eLearning Courses? These offer layouts that are optimized across devices. Tools that offer rapid development to design. Adapt Learning, Articulate Rise, CrossKnowledge Mohive, dominKnow Flow, Elucidat, and Gomo are the leading options in this category. Tools that use multi-device layouts based approach to design. Adobe Captivate and Trivantis Lectora. These too offer multi-device support but the content will shrink to fit smartphones. The popular options here are dominKnow Claro, iSpring, and Articulate Storyline. 4. 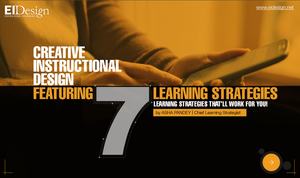 What Are Some Tips You Can Use To Create Effective Responsive eLearning Design? 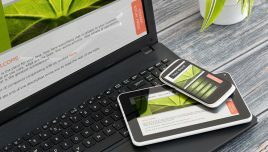 Responsive eLearning design must factor for feasibility for the smallest real estate (smartphones-including how it would work in the portrait mode) first, and then move up to tablets, desktops/laptops. This is crucial in ensuring that required User Experience can be provided on each device. In spite of pre-planning and following the right approach, it is very difficult to predict if the User Experience across all devices will meet the required mandate. The litmus test is validation with users, and this must be factored in the development cycle. 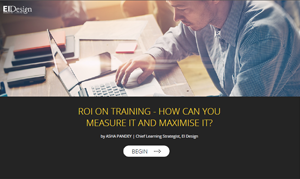 As highlighted earlier, you need to factor for eLearning content customization to do justice to different real estates and the way information appears across different devices. For smartphones, focus on absolute essentials in the first pass and provide related information in a layered manner (available for exploration). It goes without saying that the User Experience on mobile devices is hampered if the content takes an inordinate time to load. Optimize the file sizes, even look at alternate imagery that is light and smartphone friendly. Navigation should be simple to factor for the smaller real estate for the smartphones. You can opt for different formats across devices so that they offer the best User Experience in each device. Interactions need special attention. You need to stay away from interactions that need manual dexterity and may come in the way of big thumbs. Across the designs, ensure that the buttons and any other clickable asset is large enough. Otherwise, the required impact will not be created. 5. How Can You Use Responsive eLearning Design For Maximum Impact? 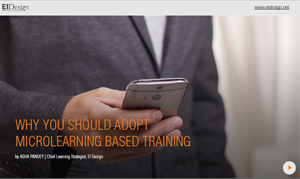 It is unlikely that you will take a 60-min course on a smartphone but you will certainly take the course of similar length if it were offered as shorter microlearning nuggets of 3-7 each. 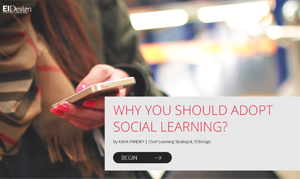 Similarly, once you provide the option to users to learn across devices, they may choose the formal training on desktops/laptops but would prefer informal learning on a smartphone/tablet. You can achieve this by offering a combination of formal training with Performance Support Tools (PSTs) or learning aids that are designed to help learners apply their knowledge on the job. Additionally, you can use the mobile devices to push sessions for practice, reinforcement, and remediation. You can also push challenges (assessments) that keep the learners on their toes and encourage them to review the formal training assets till they gain the required level of mastery. 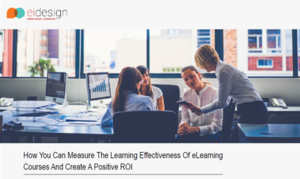 I hope this article showcases possibilities that responsive eLearning design offers and how you can use it for high impact training and better learner engagement. You can go beyond its capability to lay down the eLearning content to the device’s size and dimensions. 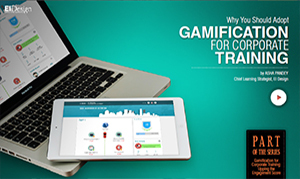 Instead, you can use each device to play a significant part in the learning journey. Do contact me at apandey@eidesign.net, if you have any queries.